Project IRWIN is now on SALE! This Lovely Newly renovated 4 Bedrooms and 2 Bathrooms home is now ready for the new homeowner. Occupy the master bedroom with vaulted ceiling, master bath with closet and large storage space. New roof, new siding, new flooring, new kitchen, new bathrooms and new doors and windows, new light fixtures and switches, and new ceiling. Come check this home in a quiet neighborhood. Irwin way is 3 miles away from Eugene Airport. 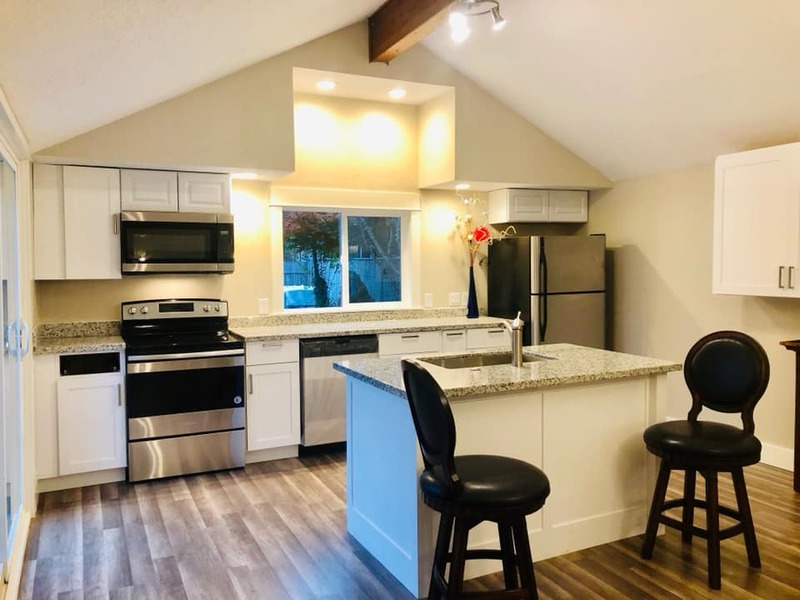 6 miles to Downtown Eugene Call 541-686-5850 for private viewing. IRWIN Park, Schools, grocery stores and restaurants are within WALKING DISTANCE. Oregon Real Estate Investors Association is not responsible for the properties or the information listed here. Each Property is independently owned. Click on the link above to contact the Property Owner about this property. www.ORREIA.net (Oregon Real Estate Investors Association) does not give legal, tax, economic, or investment advice. OR REIA disclaims all liability for the action or inaction taken or not taken as a result of communications from or to its members, officers, directors, employees and contractors. Each person should consult their own counsel, accountant and other advisors as to legal, tax, economic, investment, and related matters concerning Real Estate and other investments. Poster may be selling their equitable interest in said property(s).